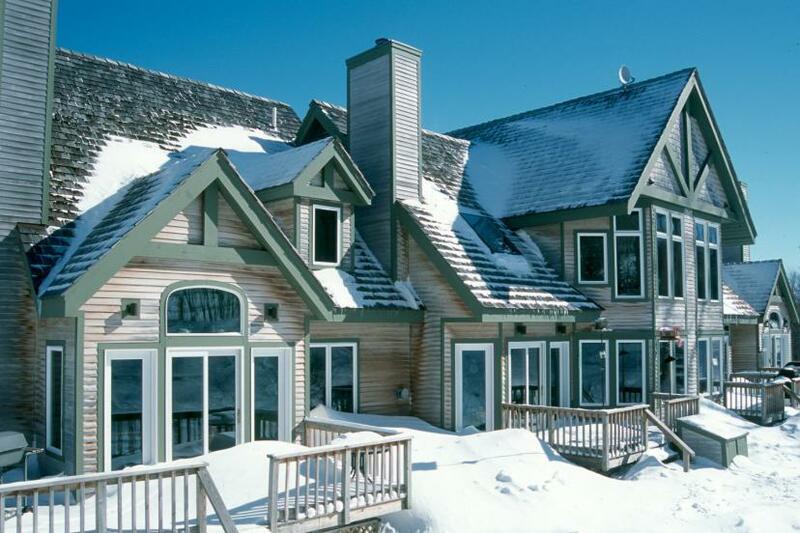 Offering units from two bedrooms to five bedrooms, nearly all of the Jay Peak Village Condominiums are true ski-in, ski-out. A select few are just a short walk from the slopes. The Village Condominiums are all newly-constructed and nicely appointed. Each unit offers a fully-equipped kitchen, living and dining area, fireplace, washer/dryer, equipment storage, deck and full bathrooms. Bedding varies as all units are individually owned. Lift service is via the Village double chair, and while not walking distance to the Tram House Lodge, all the resort restaurants, bars and the spa are within an easy one-minute drive. PLEASE NOTE: All lodging at Jay Peak requires the purchase of a DAILY lift ticket (with the exception of departure date) for EVERY person in the party age 4 or older. Children 3 and under ski FREE. Tours de Sport agents reserve the right to adjust/correct any existing quote in order to comply with this requirement. All room nights are subject to a $26 per day Resort Service Fee which CANNOT be prepaid, and must be paid by guest upon arrival.